"Please click on picture for larger image"
Irish-Canadian History can be simply fascinating at times. Surprisingly, some of the early Irish role in Quebec, is hidden in N.Y. State documents. Many Canadian history books only mention one or two items about Irish-Canadians, such as Famine immigrants and perhaps Irish-Canadian participation in the building of the Canadian Pacific Railroad. Some authors claim that this is not due to prejudice, however, but rather due to space. Out of today's approximately 30,000,000 Canadians, about ten percent are of Irish descent. That's nearly three million persons. About 60% or one million eight-hundred thousand of them are Anglo-Irish and Scots-Irish, while about 40% or one million two-hundred thousand are 'Native Irish.' Since recent census figures (1971-91) do not contain information about Irish-Canadians, these projected figures are what the earlier records suggest. Irish-Canadians are well represented in all fields of life and there are many historical figures. Most of the very early Irish-Canadian figures are to be found in New France. After the fall of New France, Anglo-Irish and Scots-Irish Protestant figures predominated, but as Canada matured socially, Roman Catholic 'Native Irish' have made significant contributions too. The Irish have played a very significant role in the history of New France. Evidence that the Irish have been in Quebec from early times is a key geographical location with an Irish name, the Trou de St. Patrice, an anchorage used since 1689. "St. Patrick's Hole" was near the Ile d'Orleans. John O'Farrell has noted that of the 2,500 marriages which took place at the close of the 1600's, some 130 involved spouses one or both of whom were Irish. (1) He points out that several hundred Irish-French Canadians must have received land grants in New France, though their surnames were gallicized. He gives a detailed history of the Irish Brigade in the French Army in Quebec, mentioning the Berry and Bearn Regiments in the mid-1700's. O'Farrell cites the historian Dr. Edmund B. O'Callaghan's discovery of the Irish Brigade's service in New France from 1755 to 1760. The Irish Brigade sailed from the French harbor of Brest May 3, 1755. There were two regiments in the fleet. They were stationed in what is now Kingston, Ontario and on the frontier of Lake Champlain. The Irish Brigade fought the British near Fort Oswego unsuccessfully and then captured the Fort in 1756. One Irish regimental unit, with red uniforms and green facings, was seen to have participated in the siege of Fort Oswego. Later the Irish Brigade captured Fort William Henry, which was a terrible defeat for the British. On July 8, 1758, the Irish Brigade defeated the British at Fort Ticonderoga. That was three major defeats for the British. Many of the French officers wounded in the Battle of Ticonderoga (or Carrillon as the French called it) had Irish surnames. The Irish Brigade was also stationed in the Ohio River valley at Fort Duquesne at this time and at Fort Chartres in Illinois. (4) At the surrender of Montreal, it is thought that the French regimental colors were not turned over to the English because they were in fact those of the Irish Brigade, whose members might be subject to the charge of treason. No Irishmen were among the surrendered soldiers at Montreal who returned to France aboard English vessels and it appears that many of the Irish Brigade blended in with the French-Canadian populace of Montreal. (5) Though the French lost the Battle of Quebec, other elements of the Irish Brigade arrived afterwards and defeated the British at Sillery and Ste. Foye, Quebec, outside the city. The Irish Brigade fought well for France and New France. After the fall of New France they blended in with the French-Canadians. In Quebec City went into business. Over the years, more Irish have come to the "Belle Province" and made their homes there. If one asks why the Irish Brigade was in New France, it must be because the Irish were truly determined to be free and fighting for France appeared the best way to become free. We can see that the oppressive policies of the British in Ireland cost Britain great difficulties and great expense in Canada and the American Colonies. In spite of this, Canada was to become a wonderful home for Irish-Canadians. And partially with Canada's help, Ireland itself would obtain its freedom some one hundred sixty years later. A significant number of Native Catholic Irish came to British Colonial Canada in the late 1700's. Early Irish-Canadians settled in Newfoundland, Halifax and Cape Breton, Nova Scotia, in New Brunswick, and in Prince Edward Island where they became numerous in agriculture, tree-harvesting, boat building, shipping and the fisheries. Many who were from Counties Cork, Tipperary, and Wexford and the city of Waterford settled in Newfoundland where they worked in the fishing industries. At first, the Irish were not allowed to remain in Newfoundland throughout the year. They were forced to return to Ireland during the winter. In the late 1700's, the Royal Newfoundland Regiment, known as 'Skinner's Fencibles' or 'the Fencibles' consisted of mostly Irish soldiers. The Catholic bishop was hard put to keep them from rebelling, but they helped keep Newfoundland in Canada's hands during the American Revolution. In the early 1800's the Irish populated the Avalon Peninsula in particular. Between 1784 and 1832 the legal restrictions against the Irish were removed. By 1836 there were 14,000 Irish-Canadians in St. John's. There were Orange and Green problems in Newfoundland, the worst incident, a violent riot, taking place in Harbour Grace, in 1883. Since fisherman's wages were low, life for many Newfoundlanders was hard and many Irish-Canadians subsequently moved to "Boston States." There were Irish-Canadians in Nova Scotia from the time of its takeover by the British in 1749. Halifax was founded in 1749. Early in Halifax history there was an Irish Town, with St. Peter's Church as its center. In 1786 the non-sectarian Charitable Irish Society was founded in Halifax. This group celebrated St. Patrick's Day every year and helped Irish descended persons in need. After the American Revolution a fair number of Irish Catholic Loyalists came to Nova Scotia and also New Brunswick. Irish Catholics helped defend Boston in 1775, some apparently Anglo-Catholics and others Roman Catholics. And there was a Royal N.Y. Irish Regiment some of whom apparently came north to the Maritime provinces too. They were awarded land grants for their services in the British Army during the American Revolution. These Irish Catholic Loyalists would help later Irish to be integrated into the Nova Scotia community. After the 1798 Uprising in Ireland, many Irish came to Cape Breton, Nova Scotia. Nova Scotia emancipated Roman Catholics from political restrictions in 1827. Many Irish Loyalists also came to New Brunswick. Between 1815 and 1839, New Brunswick was to receive many of the 12,000 Irish immigrants who came to Halifax, N.S. They were to settle in the Miramichi region. 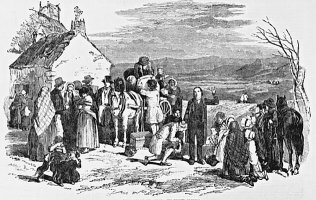 New Brunswick was also to receive many Irish famine immigrants. In Prince Edward Island, Irish immigrants constituted one quarter of the original population. Many of the British troops which took over P.E.I. came from Cork, though it is not known whether they were mostly English or Irish soldiers. The Benevolent Irish Society was founded in Charlottetown in 1825. In 1847 there was one Native Irish vs. Belfast Scots fracas. By the 1860's farms were prospering. By 1875 tenants on large estates had secured rights to their land and the Island was prosperous. Irish-Canadians settled in Upper Canada as Ontario was then known. Irish Loyalists came first. Then came some Irish settlements in Ontario founded by Peter Robinson in the 1820's. It is said that the Native Irish got the most remote and least arable land. (6) By 1827 the Family Compact, a group of Anglican government officials was complaining about the significant numbers of Irish Catholics and Scots-Irish Presbyterians, amongst others, coming to Upper Canada. (7) The early building of canals and later building of railroads brought many Irish navvies to Ontario. You can follow the Irish as they moved across Ontario. In Eastern Ontario, below the eastern area of Algonquin Provincial Park there are Eagan Estate, Killaloe Station, Killaloe, Barry's Bay, Moore Lake, Kearney Lake, Limerick Lake, Ireland, and Maynooth. And there used to be a small agricultural town thereabouts named Dublin. Near the western area of Algonquin Provincial Park are Burk's Falls, Kearney, and Mc Craney Lake. Near Renfrew Ontario are Shamrock, Mount St. Patrick and Eganville. Near Petersborough are Monaghan, Keene (sounds Irish), Malone and the Moira River. Irish-Canadians also participated in the gradual westward settlement of Ontario. This can be seen in many Irish place names in Western Ontario. Near Mississaga Provincial Park, between Sault Ste. Marie and Sudbury, there is Dunns Valley, Lake Mc Mahon and Lake Patten, Kirkpatrick Lake, Quirke Lake, Little Quirke Lake, Emerald Lake, Mc Carthy Lake, Mc Giverin Lake, and Massey Town. Above Kenora are Carroll Lake, Lake Delaney, and Haggart(y) Lake. Not far from Geraldtown is Killala Lake. Not far from Sudbury, near Killarney Provincial Park, are Killarney Lake, Killarney, Macaulay Lake (Scots ?) and Aubrey Falls (Fr. / Ir. O'Barry ?) There is also a Guilfoule Lake in Western Ontario. One must admit that a many lakes, falls, and towns throughout Ontario bear witness to a quiet Irish-Canadian participation in the vast region. Guy Carleton, an Anglo-Irishman born in Strabane, Ireland, was the Governor of Canada in 1775 when the United States attacked. He defended Canada against the American attack led by Benedict Arnold and Richard Montgomery (who was born at Swords in Dublin). In the field of literature, Irish-Canadians were early in making a significant contribution. Francis Brooke n�e Moore (1745-1789) was the author of the first novel written in English in Canada, THE HISTORY OF EMILY MONTAGUE. Her husband was a chaplain with the British Army in Quebec. She and her husband lived in Sillery in the house known today as La Maison des Jesuites on the Foulons Road. During the War of 1812, Irish-Canadians made significant contributions to the defense of Canada. At that time Canada had a population of approximately 330,000 people and the United States had more than ten times that number. Canadian strength was 6,500 soldiers, while American strength was 25,000 soldiers, with 100,000 reserves. So every Canadian soldier counted. The 100th Regiment of H.R.H. The Prince Regent's County of Dublin Regiment of Foot (later named the Leinster regiment, and then the Royal Canadians) and the 89th Regiment, 2nd Royal Irish Fusiliers performed well in battle. In 1813, soldiers of the 100th Regiment participated in attacks on Sackett's Harbour and Ile-aux-Noix. Soldiers of the 89th Irish Fusiliers and the 49th Regiment fought in the Battle of Chrysler's Farm, which was a success for Canada. The 100th Regiment, reinforced by other units, captured Fort Niagra, and gained its first battle honor. Detachments of the 89th and 100th Regiments also participated in the taking of Fort Lewison, Black Rock, and Buffalo. In 1814, the 100th Regiment, along with the Royal Scots, lost about 50% of its strength in the defense of Chippewa. After this heavy battle came the Battle of Lundy's Lane not too far from Niagra Falls. The 89th lost 217 men out of 400. So Irish-Canadians were paying dearly for their new homeland. As of late 1814, British forces numbered 16,000 and included the 27th Inniskilling Fusiliers and the 88th Connaught Rangers. The 27th and 88th Regiments fought in the Battle of Plattsburg. General Ross, born in Dublin, but haling from Rostrevor, County Down, led the attack on Washington, D.C. in July, 1814. The War of 1812 concluded with international borders the same as when it had began and Canada having successfully defended itself. Between 1780 and 1845 it is estimated that one and three quarters million persons left Ireland for Britain and North America. In the late 1700's most went to Britain. But after 1815, many, approximately two thirds, went to Canada and the other one third went to the United States. Peter Robinson transplanted over 2,000 tenants from North Cork to open land in Upper Canada in the 1820's. In wasn't until the 1840's that immigration from Ireland to Canada became very significant. 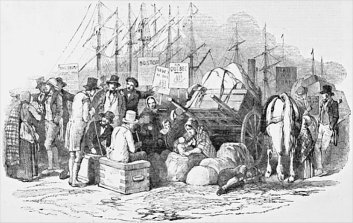 Historical records show that in the period 1825-29, 53,463 Irish emigrated to British North America; 1830-34, 185,952 Irish immigrants; 1835-39, 73,245 Irish immigrants; 1840-44, 134,956 Irish immigrants; 1845-49, 230,094 Irish immigrants; 1850-54, 18,165 Irish immigrants; 1860-64, 15,724 Irish immigrants and 1865-69, 22,693 Irish immigrants. That's about 735,000 immigrants. Historically, Irish immigrants came from the both the North and the South of Ireland. It should be pointed out that not all the Irish immigrants were 'Native Irish', that is typical Irish Roman Catholics. Most Irish-Canadians, approximately 60%, are Protestant Anglo-Irish and Scots-Irish. However, the largest single denomination of Irish Canadians is Roman Catholic. This means that about 440,000 Anglo-Irish and Scots-Irish and about 295,000 Native-Irish immigrated to Canada between 1812 and 1869. The governmental arrangement of Canada's provinces was not quite satisfactory during early times. There were rebellions in Upper and Lower Canada in 1837 and 1848. Edmund B. O'Callaghan, a Canadian from 1823 to 1837, participated in the Rebellion of 1837. Afterwards he fled to the U.S., and there founded the New York Historical Society. William Baldwin, an Anglo-Irishman born in Ireland, has been called the founder of Canadian liberalism. Many Loyalists were not Anglicans. Baldwin was a member of the Upper Canadian Reform Party, who helped defeat the Family Compact group which was requiring American Loyalists to undergo a long naturalization process. During the period 1826-31 Irish-Canadian navvies helped to build one of Canada's first canals, the Rideau Canal. This cost approximately a half-million pounds, so that it brought in a good deal of money for Irish-Canadian families. Irish-Canadian navvies helped to build the Shubenacadie Canal in Nova Scotia from 1826 to 1830. They helped to build the Citadel of Halifax. Around 1837 about 2,500 Irish-Canadian navvies helped to build the Beauharnois Canal. They also helped to build the St. Lawrence Canal in 1848. In Ontario they also helped to build the Welland Canal, not too far from Toronto. Welland is near Niagra Falls. The Welland Canal runs from St. Catherine in the North via Welland to Port Colborne in the South. After building the canals, many Irish-Canadians navvies became canal workers, moving Canadian freight and passengers. It was during the Famine years that the largest number of Irish came to Canada. During 1847 approximately 105,000 emigrants left for British North America. Because of the wretched conditions aboard ships, and because of quarantine conditions at Grosse-Ile, many Irish immigrants came down with typhoid fever. The French-Canadian Soeurs Grises and Soeurs de Charit� worked heroically to help the Irish immigrants sick with typhoid fever. About twenty to thirty thousand Irish died at Grosse-Ile, Quebec, near Montreal. Nearly 6,000 of these are buried near Pointe St. Charles, near the Victoria Bridge in Montreal. There are monuments to their memory at Grosse-Ile and Point St. Charles. Grosse-Ile has been designated as a special place by the Canadian government. In 1847 Upper Canada, which was Ontario, and Lower Canada, which was Quebec, were brought together as the Province of Canada, with the seat of government at Montreal. The arrangement was not a comfortable one, because Ontario felt it was under-represented and Quebec did not wish to be dominated by Ontario. Yet Canadians kept working at self-government. In the years around 1849 Robert Baldwin, an Irish Protestant, was foremost in the fight for 'responsible government' in Canada. 'Responsible government' was the right of a province such as Ontario or Quebec to govern itself, while Britain handled foreign and international affairs. The province ran its own cities, towns, and schools and raised its own militia and taxes. In this arrangement, Britain appointed a governor-general, reviewed the laws which the provinces made and it reviewed judicial decisions, much like America's Supreme Court. At this time a critical figure in Canadian history was the Anglo-Irish Canadian Francis Hincks. (9) Hincks was the politician who set the pattern for governing Canada. In the early 1840's, he helped to forge a political alliance between Anglo-Canadians, Irish-Canadians, and French-Canadians. Robert Baldwin (William Baldwin's son) who led the Anglo-Canadian Reformers and Louis-Hippolyte La Fontaine, who led the French-Canadians joined forces in the United Provincial Government. Thus the Liberal Party was born. The governing alliance lasted 15 years. When this alliance wore out, Hincks brokered a second alliance, between Anglo-Canadian Tories led by Sir Allan Mac Nab and A.N. Morin, the French-Canadian parliamentary leader. Thus, in 1854, the Conservative party was born. Perhaps Hincks' Anglo-Irish background helped him to see the possibility of productive compromises. He is one of the bright lights of Canadian history. In the 1850's Irish-Canadians began to have a significant impact on Lower Canada. The railroad contractor Thomas Brassey set out to build the Grand Truck Railway, one of the predecessors of the Canadian National Railroad system. Brassey looked to Britain for construction labor due to the shortage of such labor in Canada. Since most of Britain's railroad construction was finished, there were surplus construction workers, known as 'navvies,' there. He was able to bring up to 3,000 navvies to Canada. Many of the navvies who had dug Britain's canals and built Britain's railways were Irish. Perhaps, as many as a third. In Britain, in order to avoid inter-ethnic fights between workers, work crews along the line were often composed of one nationality and they worked separate parts of the line. Facing a certain amount of hostility, many redundant Irish 'navvies' would have no reason to stay in Britain, so that they would be the likeliest to migrate to Canada. We can reasonably assume that very many of the navvies were in fact Irish. In the 1850's, Irish immigrants also helped to build the St. Lawrence and Atlantic Railway from Portland, Maine to Montreal. (10) Thus, Irish-Canadians were among those who first helped to bind Canada's provinces together with steel sinews. The Grand Trunk Railway was to be continued westwards, depositing Canadians of Irish descent along its route as it was built. Irish presence in English Canada continued to grow. In Toronto, the Irish-Canadian community began to firm up. Michael Power became the first Catholic bishop in Toronto in the late 1830's. Although only twenty-five percent of Toronto's population in the 1850's and sixties, Irish Canadians were a considerable force, especially after voting requirements were eased in 1867. A legacy of Francis Collins, Irish-Canadians had their own newspapers. The TORONTO MIRROR lasted from 1837 to 1865. A subsequent newspaper, named the IRISH-CANADIAN, lasted from 1863 to 1892 and was the organ of the Hibernian Benevolent Society. This group had been set up after the occurrence of anti-Catholic riots in 1858. There was also St. Patrick's Benevolent Society. Catholics also set up the Toronto Savings Bank to help immigrants, much as Emigrants' Savings Bank had been set up in N.Y.City. Irish-Canadian Catholics and fellow Roman Catholics of other backgrounds were later to have St. Michael's Cathedral, St. Michael's College and St. Joseph's College of the University of Toronto as testaments to their cultural self-development. The demographic growth of the Irish-Canadians must have caused the Orange to feel threatened. During the 1860's and onwards, there were numerous Orange attacks against the Irish. "Orangemen and Irish-Catholics clashed 22 times in the 25 years between 1867 and 1892." (12) Kealey points out that "Riots which took place on March 17, St. Patrick's Day, were usually instigated by Orangemen challenging Green marchers, as in 1871..." (13) Only twice, in 1873 and 1874 did Green provoke the Orange. The reason most scholars give is that the Orange feared an Irish-French Roman Catholic link up which would destabilize a predominantly Protestant Canada. However, there was no Irish-French military link-up because the Irish had a problem in learning French. I believe that the Irish felt that if they spoke French, they would be assimilated into French culture and lose their Irish identities. Since they had already lost Gaelic, this probably seemed a very risky situation. If they spoke English, they could not be assimilated by the English culture because of their religion. Hence, the Irish adopted an uncomfortable Anglophone-Roman Catholic position, which was not quite acceptable to either the French nor the British-Canadians. Sometimes a people is placed in such a dilemma and that apparently is the best the Irish of the time could do. In the mid-1860's, Upper Canada and Lower Canada were still having a difficult time getting along. Irish-born Thomas D'Arcy McGee was a former journalist who became a Canadian provincial legislator. In the 1860's he was a political moderate with a sound vision for a transcontinental Canada. Though very Irish in orientation, he disagreed with the Fenians movement. He had lived in the US and thought that Irish-Americans were getting a raw deal there. He was working for the unification of Canada, emphasizing the need for an intercolonial railroad, but without success. In 1866 a group of Irish-American Fenians invaded Ontario. They hoped to bring about an uprising of Irish-Canadians and to disrupt the British Empire. Their aim was to liberate Ireland. Most Canadian historians feel that the United States was getting revenge with England for having helped the Confederacy during the Civil War. However, Irish-Canadians did not join in any uprising and the invasion failed. The real outcome of the Fenian invasion was that Canadians saw the need to come together. While at least seven fathers of Confederation were born of Irish parents in Ireland or of Irish parents in Canada, D'Arcy McGee is perhaps the best known of these. In 1867 the Canadian Confederation came into being. And people of Irish descent became one of Canada's founding nations. However, Thomas D'Arcy McGee was assassinated by Fenians on April 7, 1868, apparently for stating that captured Fenian invaders of 1866 should receive the death penalty. It was a significant loss for Canada. In the Maritime provinces, in Montreal and in Toronto, Irish-Canadians, many in the countryside, as well as in the cities, continued to build their churches and schools and improve their education. The Canadian Confederation was still working out its shape. There was, however, trouble in the western provinces, where certain groups of people had grievances. In 1885 there was an uprising, led by Louis Riel, partially of Irish descent. The 1885 Indian Rising on the Plains was put down. And Canada kept moving westwards. In discussing the construction of the Canadian Pacific railway circa 1881-1885, Pierre Berton states that to a large extent, Irish-Canadian contractors and Irish-Canadian laborers built the CPR. The railroad was built in separate segments. In one summer five thousand men worked twelve hour shifts to lay five hundred miles of track. Calgary was reached in 1883. North of lake Superior the ground was solid rock. Much dynamite was needed. Over 15,000 men blasted the rock as they laid ties and rails. (14)It took four thousand horses to cart the rubble away. A ninety mile stretch of difficult terrain cost ten million dollars. Towards the end of construction, the Irish-Canadian rail crews laid 600 feet of track in four minutes and forty-five seconds, beating the Northern Pacific Railroad record. Berton points out that many other Canadians of diverse backgrounds helped to build the CPR, too. In British Columbia between 8,000 - 11,000 Cantonese Chinese-Canadians (from Hong Kong), built 340 miles of track through rugged mountains, which was their specialty. For Irish-Canadians these good-paying railroad construction jobs were an escape from the dying fishing industry in the Maritime Provinces and an entree into the construction and transportation industries. It was an Irish-Canadian, A.A. Murphy, who observed a strain of rust-free wheat, which greatly helped modern agriculture. And Cornelius O'Keeffe brought the first cattle herd to British Columbia in the last decades of the 1800's and began cattle ranching there. During the latter part of the 1800's, the Irish kept immigrating to Canada. Census and shipping records show that between 1851 and 1921 about 315,000 persons from Ireland migrated to Canada. Irish-Canadians, some of them newly arrived immigrants, contributed to the Canadian Northern Railway and the Great Northern Railway. Under construction from 1903-1913, they were eventually merged into the Canadian National Railway in 1918. In the early 1900's Canada enjoyed prosperity. Irish-Canadians participated actively in Canadian politics. Clarles Alleyn was a Mayor of Quebec City. Edmund Flynn was a Premier of Quebec. During World War I, most Irish-Canadians served throughout the Canadian armed forces. However some joined their own ethnic regiments. Irish-Canadians in Montreal formed an Irish regiment, the Irish Canadian Rangers, the 55th Regiment. This regiment had its own insignia and flag. The officers had difficulty bringing the regiment up to full strength. In spite of this, it was shipped off to England in 1917. The regiment visited Ireland for recruitment purposes, but was then broken up and used as reinforcements. The Irish Regiment of Canada, the 110th was formed in Toronto in 1915. Its troops were gathered into the 110th Canadian Overseas Battalion which were sent to the 180th (Sportman's) Battalion and the 208th Canadian Irish Battalion, both of which were very Irish in makeup. These two battalions served in ten battles or campaigns: Arras 1917-18, Ypres, the Hindenberg Line, Scarpe 1918, Canal du Nord, Hill 70, Amiens, the Pursuit to Mons, Drocourt-Queant, and France & Flanders. They suffered 60% casualties. Two other Irish-Canadian units which participated in World War I were from british Columbia: the Irish Fusiliers of Canada and the British Columbia Regiment - the Duke of Connaught Own. The origin of most of the soldiers of the Irish Fusiliers was Ulster. I don't have their histories at this time, however. In retrospect, one of the most important contributors to the preparedness of Canada's armed forces was the Scots-Irish Canadian Sam Hughes (1853-1921), Minister of the Militia in 1914. (15)He brought the Canadian military up to standard for World War I. Though Canadian forces performed admirably in the war, high casualties caused him to lose his position. In between world wars and afterwards, Irish-Canadian talents flourished. Robert Lindsay Crawford (1868-1945) was an Anglo-Irish journalist who worked for Ireland's freedom. (16) Originally very sectarian and imperialist, he gradually benefitted from the Canadian atmosphere of tolerance. With others, he founded the Self-Determination League of Canada and Newfoundland. He greatly regretted the partition of Ireland and the Irish Civil War. He became a trade representative of the new Irish government in New York City asnd died there. Nellie Letitia Mooney McClung (1873-1951) was a school teacher and author. She was Canada's delegate to the League of Nations. Louise Crummy Mc Kinney (18__ - 19__) was a school teacher who was one of the first women elected to a Canadian Legislature. Emily Ferguson Murphy (1868-1933) was a journalist, author, and the first female magistrate in the British Empire. It was her nomination to be a judge that brought on the legal argument which led to the Supreme Court's ruling that under the Act, a woman was a legal person. The Mc Donoughs made many mineral discoveries in Western Ontario from 1915 onwards. (17) During World War II, their mines supplied Canada with most of its cobalt requirements. The Great Depression was to blight many Canadian lives. During World War II, the Irish Regiment of Canada fought at Melfa Crossing, Montecchio, Lamone Crossing, Ijsselmeer, Liri valley, Gothic Line, Coriano, Italy 1943-45, Delfzijl Pocket, and Northwest Europe 1945. Of the 3,000 men who had served in this unit, 200 died in action and 530 were wounded. Eighty-nine were captured by the enemy. Although the Irish Regiment of Canada was one unit of many, perhaps it symbolically portrayed Irish-Canadians' deep love of their homeland, felt by all other Canadians. The Irish Fusiliers of Canada and the British Columbia Regiment - the Duke of Connaught Own also fought in World War II. From 1870 through 1978, about 400,000 Irish persons immigrated to Canada. On average, from 1870 - 1978, Irish immigration constituted 4.1% of the total. This strong Irish contribution to the Canadian makeup over a long period of time meant that the Irish-Canadians, at nearly ten percent of the population, became the major non-French ethnic group in British North America and then Canada. The last Canadian census which recorded Canadians by Irish descent was in 1961. 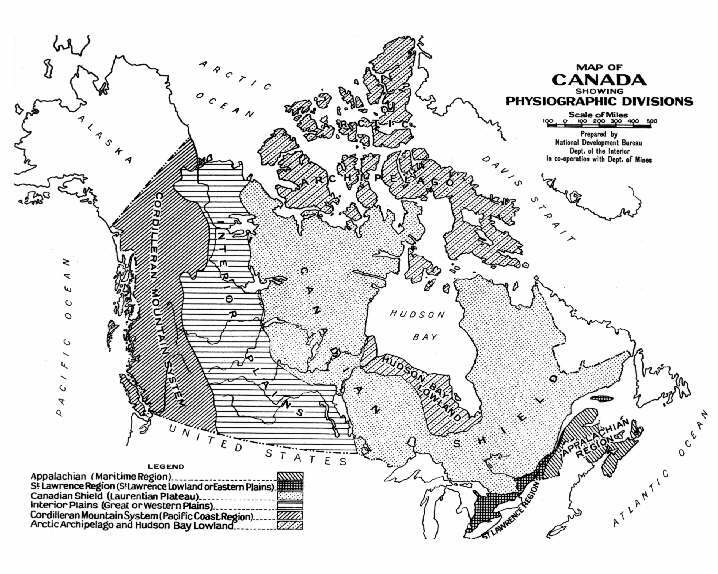 The figures were Yukon Territory 1,670; Northwest Territories 1,056; British Columbia 165,631; Alberta 134,102; Saskatchewan 92,133; Manitoba 84,726; Ontario 873,647; Quebec 129,326; New Brunswick 82,485; Nova Scotia 93,998; Prince Edward Island 19,786; and Newfoundland 74,791. The Irish constituted 15.4 % of the Atlantic Provinces; 7.4% of the Quebec; 49.8% of Ontario; 17.7% of the Prairie Provinces, 9.5% of British Columbia, and 0.2 % of the Northern Territories. We know that today Newfoundland is about 33% Irish-Canadian, and that P.E.I., New Brunswick, Cape Breton all have significant Irish-Canadian populations. In the past the Green and Orange division has led to some tensions in Canada, as in Ireland. But over a long period of time, inter-religious relations have been handled much better than in the Old Land. Representative Irish-Canadian personalities have made many contributions to Canadian life and the world. Lester B. Pearson was Prime Minister of Canada and a Nobel Peace Prize winner had some Irish ancestry. Louis St. Laurent, whose mother was Irish, became Prime Minister. And former Prime Minister Brian Mulroney is Irish-Canadian. Sir William Mulock (1844-1944) was a postmaster-general in Laurier's cabinet, chief justice of Ontario, and chancellor of the University of Toronto. Cardinal Charles Mc Guigan (1894-1974) was an excellent representative of Canadian Roman Catholics. (18) Starting as a parish priest in 1918, he became a monsignor in 1924, and archbishop of Regina in 1927. He showed great wisdom in steering his archdiocese between the extremes of communism and fascism in an ideologically charged era. In 1935 he was appointed archbishop of Toronto. Mc Guigan supported the Allied cause in World War II wholeheartedly. In 1945 he became a cardinal. He supported NATO. Though constantly opposed by the Orange Order in Toronto, his spirit of tolerance gradually gained their respect. Perhaps Mc Guigan's greatest accomplishments were welcoming many new Catholic immigrants to his archdiocese and participating in Vatican II. Larkin Kerwin of Quebec City, was for years president of the National Research Council which built the 'Canada Arm' for the U.S. Space Program. He is also the first lay rector of Laval University in Quebec City. Senator Josie Dinan Quart (1890's-1980's) was born in Quebec into a well-known Irish-Canadian family. She was active in dramatics, music, sports, public service, Girl Guides, and the Conservative Party. She was named a senator by Prime Minister Diefenbaker and served as Canada's representative to the United Nations. Robert Samuel Mc Laughlin (1871-1972) founded the Mc Laughlin Carriage Company, which was the predecessor of General Motors of Canada. Of Orange background and a Mason, he was a generous philanthropist. Marshall Mc Luhan was of Scots-Irish descent on his father's side & of Irish-Canadian descent on his mother's side. His books were enormously influential. Brian Moore is a distinguished playwright and novelist. James F. Kenney, ( 1884-1946), was an Irish-Canadian scholar who made an impressive contribution to Irish studies. (19) In 1929 he wrote "THE SOURCES FOR THE EARLY HISTORY OF IRELAND." He taught Latin and history in the high School Department of St. Michael's College in Toronto and worked for a while at the Library of the University of Toronto. While writing his book he worked at the Public Archives in Ottawa. His book is considered an outstanding achievement in Irish scholarship by many Irish scholars. P�draig � Broin, (1908-1967), was one of the finest Irish language poets in modern times. (20) The surprising thing is that he learned his Irish in mid-life. He studied Irish, became proficient in it, and began to write Irish poetry. He published two books THAN ANY STAR and NO CASUAL TREASURES. He co-published a Gaelic Magazine. He had many friends, who greatly regret that he didn't get to complete his last book. Today, Irish-Canadians have made and are making memorable contributions In the performing arts. Loreena Mc Kennitt is a popular harpist, singer, and composer. She is well known for her Celtic music and she often has a hit in the top ten. John Mc Dermott is a Scots-Irish singer whose songs are hitting the charts right now. And the McGarrigle Sisters, Kate and Anna, have made music with Dolly Parton and other Country and Western music singers. Numerous C&W stars sing their songs. I greatly regret not having enough information to mention many fine Irish-Canadian labor union leaders and businessmen who have made a great contribution to industrial peace and productivity and also to many religious leaders, educators and health workers. It takes millions of persons living productive lives to create a just and prosperous society as well as notable leaders. As I learn more about Irish-Canadians, I will include them. Above all, it takes untold numbers of parents to raise their young to be productive. These parents are truly the unsung heroes of the Irish-Canadian experience. If you know who wrote this, or a version similar to it.. please let us know. Berton, Pierre. The Impossible Railway. N.Y.: Alfred A. Knopf, 1972. Callwood, June. Portrait of Canada. Garden City, N.Y.: Doubleday & Co., 1981. Charbonneau, Hubert and Jacques Legare. Repertoire des Actes de Bapteme, Mariage, Sepulture, et des Recensements du Quebec Ancien. Montr�al, Que., Canada, 1988. Gannon, Joseph E. E-mail to author. June 30, 1999. O'Driscoll, Robert and Lorna Reynolds, editors. The Untold Story: The Irish In Canada. Toronto: Celtic Arts of Canada, 1988. O'Gallagher, Mariana. Letter to the author. April 13, 1999. Wilson, David A. The Irish in Canada. Toronto: The University of Toronto Press, 1990.